It finally arrived! (I always say that.) I’m so glad that they decided to expedite the luxe boxes so that everyone receives them roughly at the same time. When I opened the black luxe box, I saw everything and realized that one of the products was a product that I had previously received in my December luxe box. Whomp whomp! The repeat product turned out to be the Yves Rocher Rouge Dragee Lipstick (Full Size) in the exact same colour. Don’t get me wrong, the colour is pretty, but I don’t need a second one! I haven’t even used the first one yet. Luxe Box has created a new program called “MyScent” to allow the individual to try out a large selection of fragrances and I have been selected to participate. In my bag, I received Prada “Candy,” Prada “Infusion d’Iris,” Nina Ricci “L’Air du Temps,” Nina Ricci “Nina,” Paco Rabanne “Black XS for Her,” and Paco Rabinne “Lady Million.” This fragrance bag is kind of a disappointment for me. I’m not big on wearing perfumes, but if I were, I would be glad to have gotten all these samples. I may keep a couple, but I will probably give the rest away. I already have other full size perfumes that I need to use up! In my box, I received a NYX Liquid Eye Liner (Full Size) in Extreme Black. And judging from the reviews on makeup alley, I’m kind of skeptical about this product. Currently, I have been using the Stila Waterproof Liquid Eyeliner and I’m running out. Not saying the NYX liquid liner will be a replacement, but I will definitely give the it a try and see what I think of it. UPDATE: I tried the NYX liquid liner and it is not good. At all. It’s very streaky and sheer. Also, the brush/wand to apply the liner is so flimsy! Would not recommend. As a bonus this month, I received a bag of Seattle’s Best Coffee Level 3. I do drink coffee, but only when I need it the most. I don’t drink coffee everyday, but this will be a great addition. The white Luxe Box contained a Schick Hydro Silk Razor and Fekkai Advanced Brilliant Glossing Shampoo and Conditioner samples. Can’t go wrong with a razor! And I’m always glad to try out different hair shampoo/conditioner brands. Last but not least, also included is a coupon for Seattle’s Best Coffee and an offer to receive Shoppers Drug Mart Optimum Bonus Points if you were to purchase any Fekkai hair product. Though this month was quite packed, I am a little disappointed. I’m not a fan of the perfume samples, and I’m not too happy that I received a repeat product. But I guess the extras and the bonuses are a fair trade. I really hope next month’s will be better! What did you receive in your January luxe box? 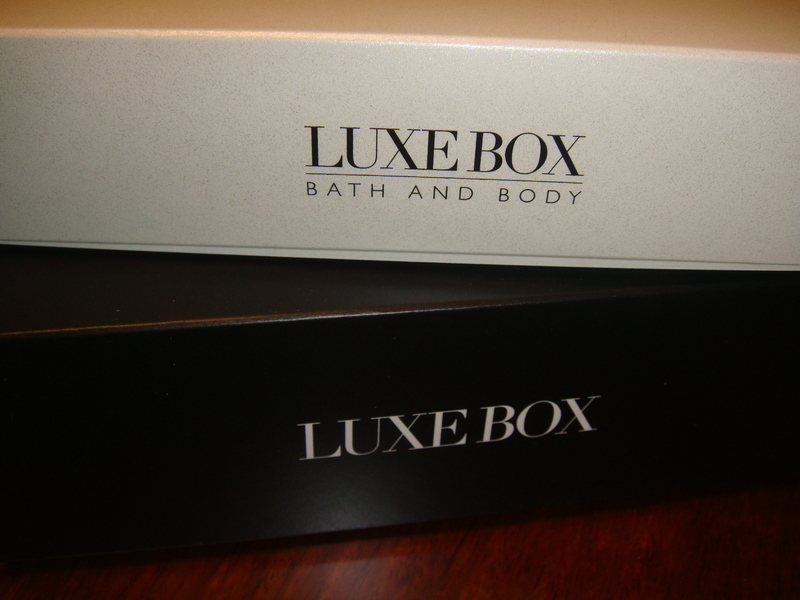 Do you know the diminsions of the canada post parcel the luxe box is shipped in? 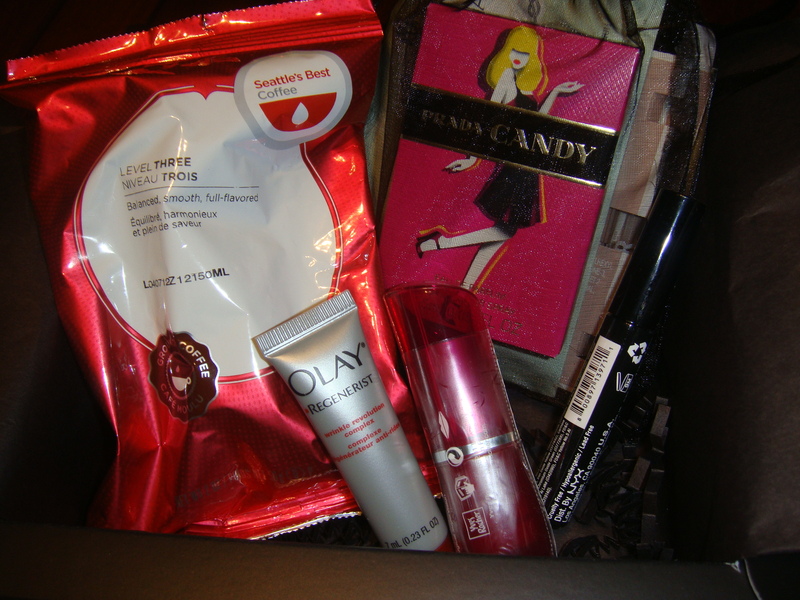 February 2012 Luxe Box « take her word. I received exactly the same box and was a little disappointed too. My repeat product was Olay, although I love this cream, I would’ve love to try new stuff. The lipstick was an horrible pinkish fluo color…. Hoping my february box will be better!